I've been blessed by so much in my life, and one more blessing is to learn that my family members in the states of Florida and Texas survived the recent hurricanes there. Those in Texas lost much in the way of home structure and first floor furniture. They are happily digging in, cleaning out and grateful for the many blessings of neighbors and friends who are helping them in ways they never imagined. The human spirit shines in tragic events such as this. I understand there is another hurricane churnning out in the Atlantic (Maria) and I continue to pray it by-passes our already devestated friends and family in the southeast USA. I created this card as a message of hope and celebration for the lives saved and the passing of the horrific recent hurricanes. 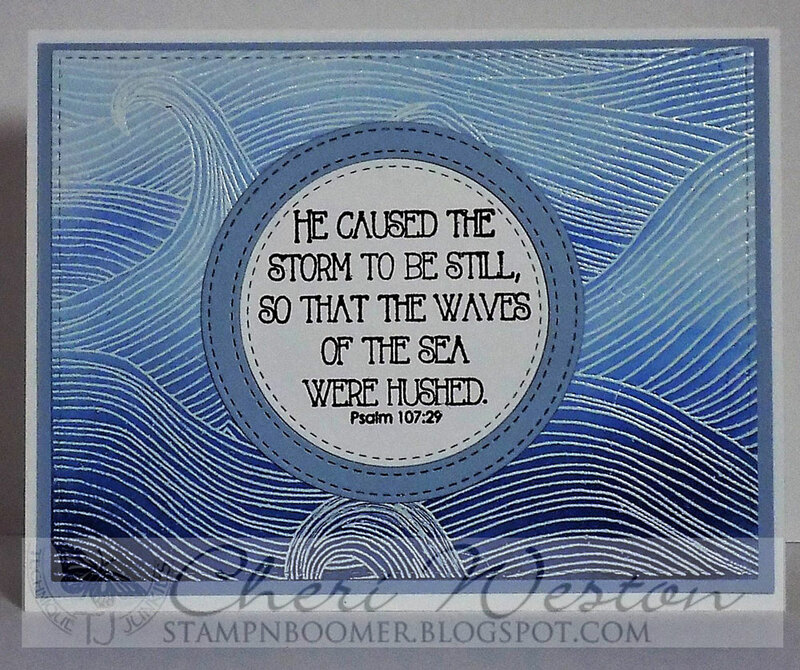 I heat embossed the background "Sea Waves" with white ep and then sponged Distress Inks in blues (dark to light) then added some deeper color in the areas where the "waves" would have shadows. The sentiment is from "Pslams of the Sea", which was part of the June 2017 release. I hope you found some inspiration here today....and grab yourself some stamping time this week. Beautiful card and I continue to pray for all those people too.